I always joke that if I could marry a movie, I’d marry David Lean’s 1945 quintessential British classic Brief Encounter. Of course, that’s silly, but I say it because in my mind Brief Encounter is about as close to perfection as a film can get. My friend Amanda recommended it a couple years ago and I’ve been hooked ever since. Based on the 1936 play Still Life by Noel Coward, Brief Encounter is the story of an ordinary man and an ordinary woman who happily go about their ordinary lives (he is a doctor, she a housewife) until a chance meeting in the cafe at Milford Junction rail station shatters their senses of normalcy and sets in motion a forbidden love affair. 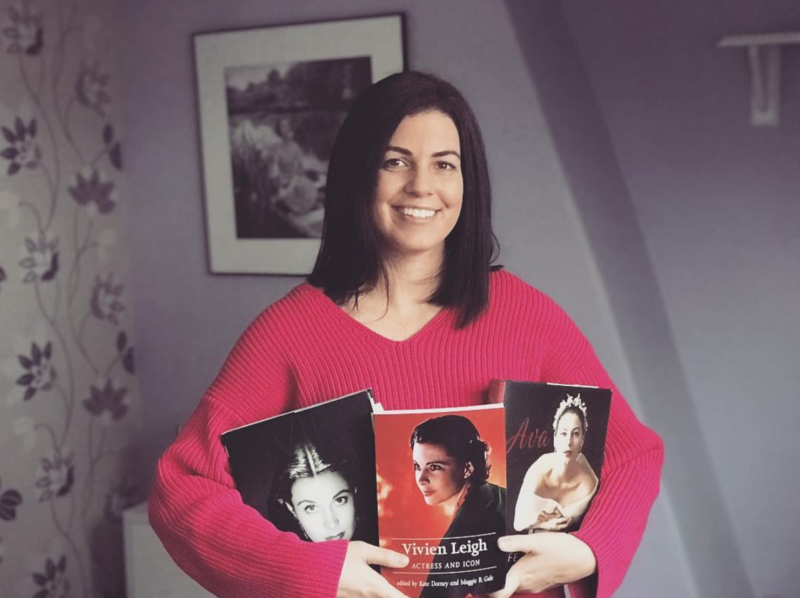 What sets Brief Encounter apart from other films with similar story lines (and there are many) is that it’s a perfect marriage of acting, directing, and screenwriting. It also offers great commentary on the rigid morals of the British middle class shortly after WWII. The lovers are deeply enamoured with one another, and their mid-day trips to the cinema, stolen kisses in railway tunnels, and a trip to the countryside, offer an exciting relief from the monotony of their private lives at home. They are unable to consummate their love, however, out of a deeply rooted sense of guilt. Alec and Laura, the latter especially, must make do with fantasies. We see her on the train to Ketchworth dreaming about a perfect world with Alec: on a cruise, in Paris at the opera, and other romantic interludes. We know as much as Laura does that her relationship with Alec must stay in the world of the fantastic. To me, this is great writing. Richard Dyer, film historian and professor at King’s College in London, did a book about Brief Encounter for the BFI in which he suggests that the two lovers’ moral struggle and oppression may have been linked to Noel Coward’s personal experience as a (closeted) gay man living in a time when homosexuality was illegal and forbidden. From what Ive read and seen, I’m not sure how closeted Noel Coward actually was; he seemed quite open and it was much easier for gay men to be free about their sexuality when engaged in the theatre. Either way, the screenwriting in Brief Encounter is the best. It’s sharp, intelligent, and never falls into a pot of sap like so many romantic films today tend to do (I’m looking at you, Nicholas Sparks movies). Alec: "Forgive me." Laura: "For what?" Alec: "For loving you. For making you so miserable." Of course, Brief Encounter would not be the British equivalent of Casablanca (as some people refer to it) without Celia Johnson and Trevor Howard. 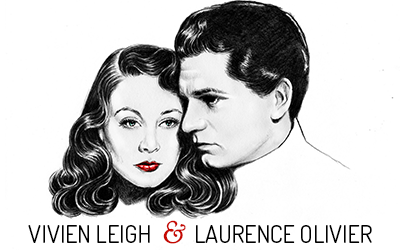 What I love about these two actors is that they weren’t at all glamorous, they were ordinary looking like you and me, and I think this made the story all the more believable. Celia Johnson gives an especially powerful performance. She had the most expressive and soulful eyes. When Laura is at home with her husband and she is having an inner dialogue, wanting to tell him about her new doctor friend Alec, she says, “But, oh, Fred, I’ve been so foolish. I’ve fallen in love. I’m an ordinary woman. I didn’t think such violent things could happen to ordinary people.” Can you imagine any other “conventionally beautiful” British star at the time uttering these lines in this film? I don’t think I’d believe it if I saw it. I’ve always thought of Ingrid Bergman as an unconventional beauty. She was very natural, and I see Celia Johnson in the same way. Brief Encounter is really the film that gave me an appreciation for David Lean. I vastly prefer his earlier films to his later epics, and would take Blithe Spirit or Great Expectations of Doctor Zhivago any day. Please don’t stone me for saying so. 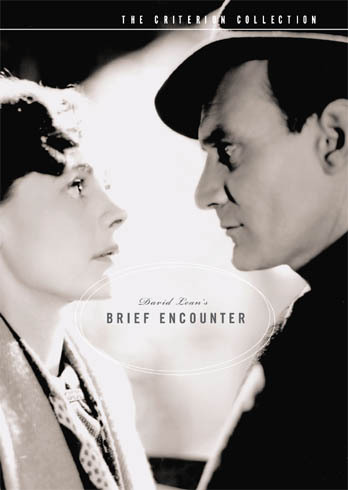 If you have yet to see Brief Encounter, please do yourself a favor and remedy that situation. You’re looking at a film that landed second on the BFI’s list of greatest British movies ever made, but it’s definitely first in my heart. It is essential 1940s England. And train station romances are simply the best. Oh, shame on me I forgot to mention, the soundtrack is Rachmaninov’s Piano Concerto #2. This really is a movie after my own heart. well then brief encounter is a polygamist because i would marry it too. ;) i love everything about this post and the movie is just beyond perfection. A wonderful essay about a wonderful film. “never falls into a pot of sap like so many romantic films today…” — That’s really good. Thank you for all the neat posts. Lovely essay on a superior film. One of my favorites, and you analyze it so well. Look up Victoria Woods’ affectionate parody of Brief Encounter on youtube,it’s hilarious!!! I’ve never been a big fan of Blithe Spirit, but I love Brief Encounter and Great Expectations. They are vastly better films than Dr. Zhivago. I’ve never liked this film much–she’s always struck me as nebbishy–but you make me want to give it another shot. Thanks!